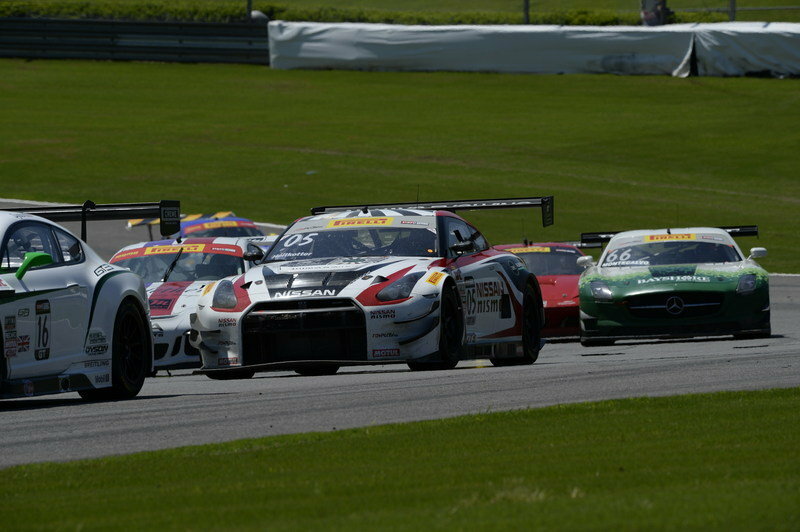 Over the weekend, the Pirelli World Challenge race series saw the running of the latest round of touring car action at the Barber Motorsports Park, ending with a good deal of success for the two GT-Rs fielded by the Always Evolving-AIM Autosport Nissan team. 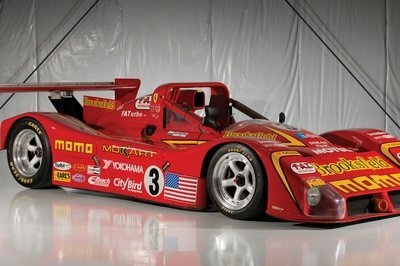 It was Nissan’s first overall victory and class victory in the PWC after only six and seven starts, respectively, for the two drivers. James Davison took pole on Saturday at the helm of the #33 GT-R Nismo GT3 and did battle with the Lamborghini Gallardo of Nick Catsburg. Despite three full-course cautions and their subsequent restarts, Davison maintained his position, thus earning his first PWC win. Saturday was less successful for Bryan Heitkotter, who drove his #05 GT-R GTA to a 14th place start going into Sunday’s race. However, Heitkotter managed to pass his way to 12th early on, eventually breaking clear of the GTA leader, Frank Montecalvo in a Mercedes SLS, taking eighth overall and victory in the GTA category. "It’s nice to get that win – it’s been a long time coming," said Heitkotter. "What a track this is! The GT-R is really good in the high-speed stuff, the fourth and fifth gear corners, so I had a blast out there today. It was a great day for Nissan and Always Evolving, with the two top tens." You can catch the race on CBS May 3rd at 2 PM eastern. The next round of the PWC will be held May 15th through the 17th at the Canadian Motorsports Park in Mosport, Ontario, Canada. 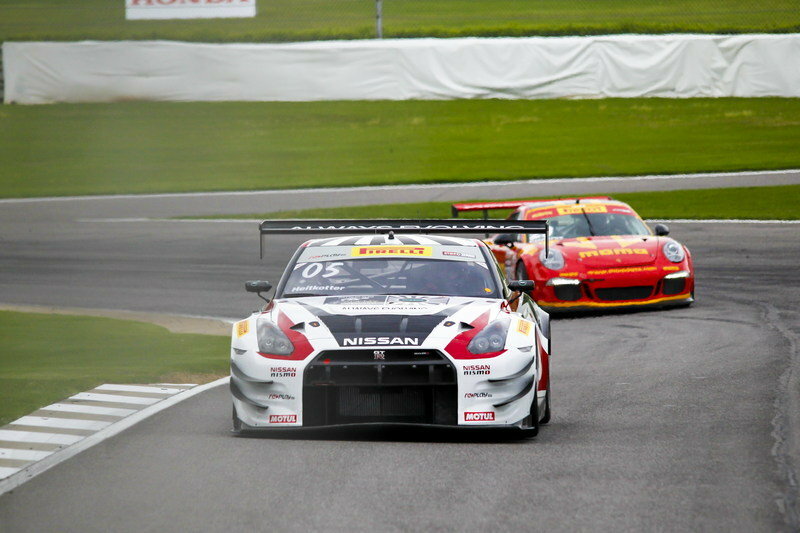 In years past, the GT-R has been absolutely dominant in GT racing. 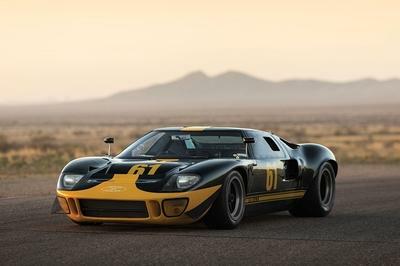 Its super-powered driveline and high-tech AWD system have made it the vehicle to beat, often ending in a string of first place finishes and subsequent rule changes. Now, it’s good to see Nissan’s world eater back in the action. These first victories are incredibly important for the Always Evolving team, especially so early in the cars’ development. "It was a good weekend for our team, and I’m very pleased with the progress our program has made in a short period of time," said team owner Erik Davis in a press release. "The team has worked tirelessly, and we are starting to see the results of those efforts. Bryan and James had great drives, and I’m thrilled to be bringing positive results to Nissan and NISMO here in the U.S. in this incredibly competitive series. We still have a lot of work to do, however, in order to get the outcome we expect." Scorching race tracks the world over, the GT-R GT3 Nismo comes with a lot of letters and huge performance potential. 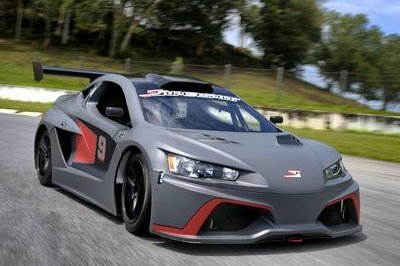 It’s a race-only version of Nissan’s flagship, and boasts a wider body, substantial aerodynamic upgrades, more power, race-bred suspension, transmission updates, and even more grip. It’s basically Godzilla on steroids, if you can imagine such a frightening thought. 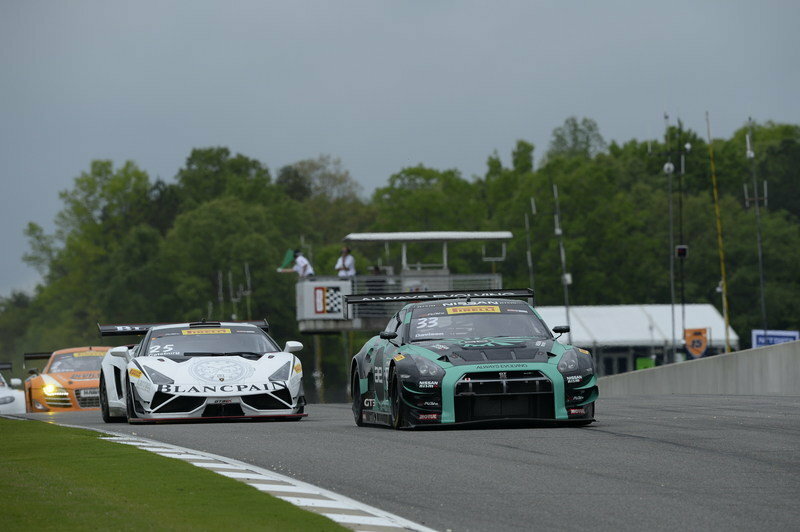 James Davison and Bryan Heitkotter each drove their Nissan GT-R NISMO GT3s to victory in the two Pirelli World Challenge (PWC) rounds at the 2.38-mile Barber Motorsports Park circuit near Birmingham this weekend. It was Nissan’s first overall and class victories in Pirelli World Challenge in just the sixth and seventh starts for the all-new Always Evolving-AIM Autosport Nissan team. Davison’s win Saturday was an exciting duel between pole-sitter Davison in his #33 Always Evolving Replay XD Nissan GT-R NISMO GT3 battling Nick Catsburg in his Lamborghini Gallardo. 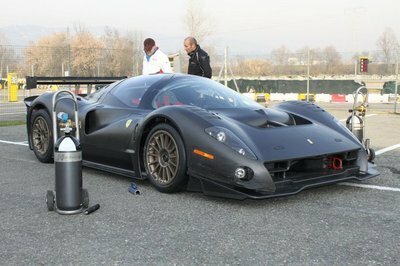 The two cars were never more than a few lengths apart as they went after each other over the rolling hills of Barber in their powerful machines. Davison held off Catsburg during three restarts after full course caution periods during the 50-minute race on Saturday to earn his first PWC series victory. Following a tough day on Saturday, 2011 GT Academy North American champ Bryan Heitkotter started Sunday’s race 14th, looking to have a better run than he had Saturday in his #05 GT-R. The 34-year old Californian showed his pace early, making his way up to the 12th spot and second in the GTA classification for drivers who have not yet been rated internationally. "It’s nice to get that win – it’s been a long time coming," said Heitkotter. "What a track this is! The GT-R is really good in the high speed stuff, the fourth and fifth gear corners, so I had a blast out there today. 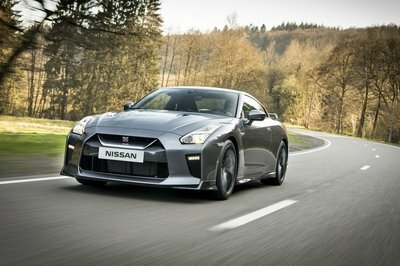 It was a great day for Nissan and Always Evolving, with the two top tens." The Always Evolving team has stayed busy refining the setup of the two GT-Rs to best suit the drivers at different tracks. That hard work paid off with the wins and fast lap times Davison and Heitkotter turned this weekend at Barber. Team owner Erik Davis is proud of the team’s achievements. "It was a good weekend for our team, and I’m very pleased with the progress our program has made in a short period of time," said Davis. "The team has worked tirelessly, and we are starting to see the results of those efforts. Bryan and James had great drives, and I’m thrilled to be bringing positive results to Nissan and NISMO here in the U.S. in this incredibly competitive series. We still have a lot of work to do, however, in order to get the outcome we expect."